Mr. Pickus graduated from Union College, Schenectady, New York in 1989 with a joint degree in Political Science and Modern Languages and earned his Juris Doctor in 1994 from the Benjamin N. Cardozo School of Law at Yeshiva University, New York, New York. Admitted to the Courts of the State of New Jersey, Mr. Pickus has appeared in matters before the Superior Court and Appellate Court of the State of New Jersey as well as Federal District Court, the United States Bankruptcy Court and the United States Tax Court. For the past several years, Mr. Pickus has served as a lecturer for the New Jersey Institute of Continuing Legal Education in the areas of real estate and title matters. 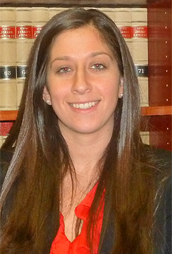 Ms. Aronson graduated from Rutgers College, New Brunswick, New Jersey in 2007 with a joint degree in Criminal Justice and Spanish and earned her Juris Doctor in 2010 from Rutgers University Law School in Camden, New Jersey. Following graduation, Ms. Aronson served as Law Clerk to Hon. 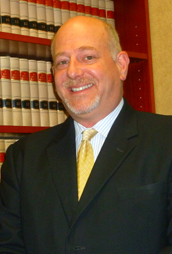 Lawrence R. Jones, JSC, Ocean County, and joined our firm in 2012.